The podcast for gamers who love movies! In "Bits" we cover new and upcoming game releases, current game industry news and discuss any games we have been playing recently. Then in "Flicks" we go over any recent trailers, tv/film news and discuss any tv or movies we have been watching. Listen to both or just listen to one, either way we got you covered on all your entertainment needs. For this episode, in news we got a lot of Disney, a lot of Marvel and a ton of Star Wars to talk about. Then in what we've been watching Jake gives his impressions on the latest Tomb Raider film and the indie horror flick Knock Knock while I talk about that Game of Thrones premiere and then share my thoughts on two films, one where a kid becomes an adult in Shazam! and another where an adult becomes a kid in Little. 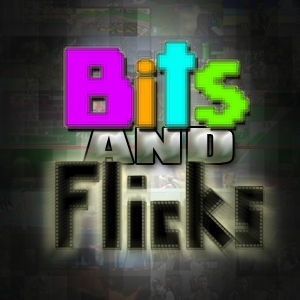 All that and much much more on this episode of Flicks!